But there’s one area where CEOs are sometimes ill-equipped to handle the demanding duties required in a startup: the finance department. Most CEOs are experts in their fields — whether this is designing and building products, delivering a high-level and sophisticated service or providing consulting in a niche industry. However, they don’t necessarily possess the financial knowledge and experience required to be a startup CFO. At most startup businesses, experienced financial leadership is required to get the business through the challenging initial months and years of the venture. The Catch-22 is that startups operating on a limited budget often don’t have the financial resources needed to hire a designated CFO. When critical decisions are made by those who aren’t financial experts, this can lead to bad outcomes while also detracting from the perceived legitimacy of the company. 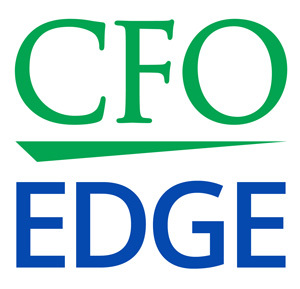 One solution is to engage a startup CFO from a CFO services firm. This will provide your startup business with a seasoned and experienced financial professional who is equipped to run your business’ financial and operational affairs. As a result, you will be able to project a high level of security, legitimacy and confidence to your customers, vendors clients and investors. This is one area where a CEO’s lack of financial expertise is often most apparent — and the costliest. Financiers, be they lenders or investors, need to see concrete financial data demonstrating that your business idea is financially feasible. A startup CFO can work with you to create a solid financing presentation that will get the attention of financiers and answer their challenging financial questions. Startup CEOs typically have a short-term view of their business finances. Their main concern is usually keeping the business operational for the next month or quarter, not planning years down the road. A startup CFO can help you step back and take more of a big-picture strategic view of your business finances. Operations is another realm where many startup CEOs have limited experience and expertise. A startup CFO can provide hands-on assistance in the areas of inventory management, information technology, supply chain management, procurement and contracting, and vendor management, among others. Efficient management of human resources is critical to a startup’s success, but most startup CEOs have little if any direct experience in this area. A startup CFO can help when it comes to managing your payroll and taxes as well as designing compensation and benefit plans for your employees. This is especially true in high-cost areas such as accounting, legal and audit services. By working closely with a startup CFO, you can be assured that a financial component is included in all discussions regarding the strategic direction of the company. The AR and AP cycles have a huge impact on cash burn for startups. A startup CFO will ensure that decisions regarding AR and AP cycles are made in the broader context of other strategic concerns, including contract negotiations. Most financiers feel more comfortable working with a CFO than they do working with a CEO or other non-financial executive. A startup CFO will give them greater assurance in the reliability of your company’s financial information, which can make it easier to access capital. In addition, a startup CFO will provide assurance that there is a sound rationale for your company’s operating plans going forward. He or she will bring an objective voice and perspective to the decision-making process, which will give lenders and investors more confidence in your company’s finances. Startup CEOs have to wear many different hats by overseeing every area of the business — from finances and operations to sales, marketing and HR. But many CEOs are ill-equipped to handle the demanding duties of the finance department. Experienced financial leadership and expertise are usually required to get a startup through the challenging initial months and years of the venture. One way to obtain this leadership cost-effectively is to engage a part-time startup CFO. This can help you meet some of the most pressing financial challenges facing your startup business.